Quiz ES17 is a 2017 Election Special Picture Round and it’s a completely free download. Can you name some of the main players in the 2017 Election from just their beady little eyes? To download for free just see below. 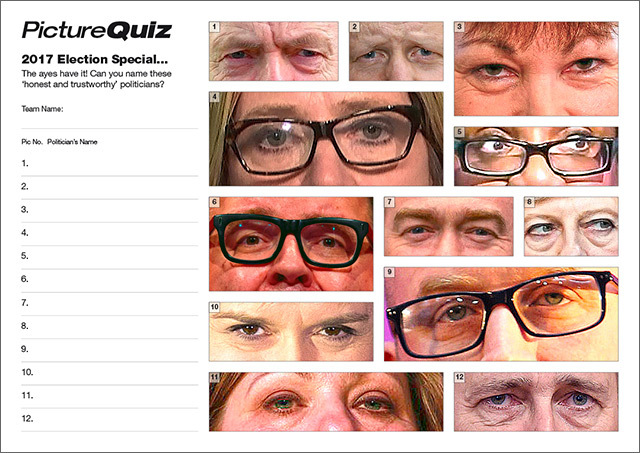 Quiz ES17s Election Special Picture Round is name the Politicians from close ups of their beady little eyes? 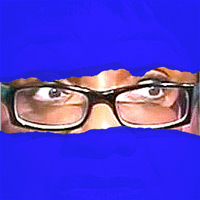 Above is a low-res sample of the Name the Politicians Picture Round, click for a higher resolution version. The three page PDF has the answers on page two and the full mugshots on page 3. Once you have downloaded the Quiz you will receive an email Receipt which also gives you links to the free download. Look out for this email as there is a 50% Discount Code which you can use straight away should you like our sample Quiz and want to purchase more. *We promise we will not bombard you with emails when you give us your email address and we definitely won’t pass it on to third parties! We only want your email address so we can send you a receipt for your download but we will keep it in our database so that if we do have any Quiz news such as freebies or Discount Codes we can make you aware of them. The website live since mid 2015 and we’ve only emailed out twice to date – to offer a 75% discount on our Quiz downloads and to advertise £60 worth of Quizzes for our 1,000th download!